You can access the document scanner from with either the QuickAdd button or the Action Menu. 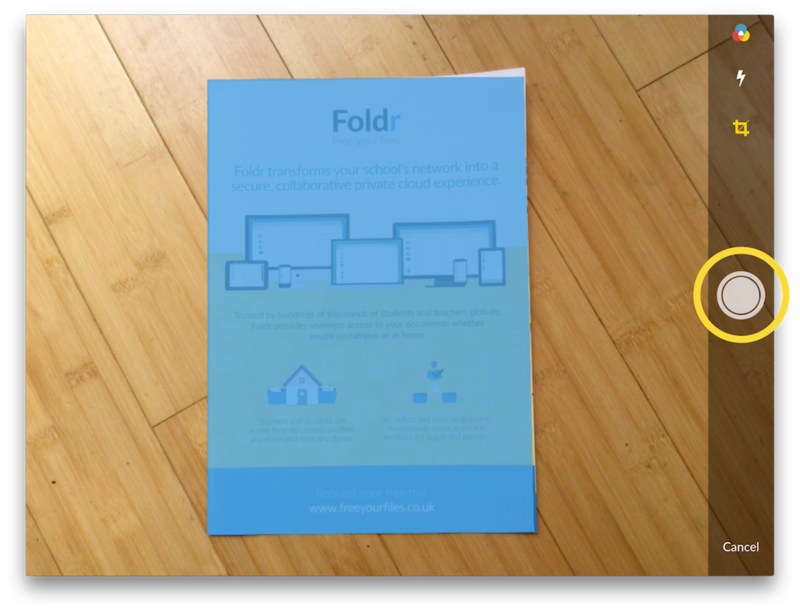 Hold your device with the camera pointing at the document you want to scan. The edges of the document will be located automatically and the area that will be scanned will be shown in blue. 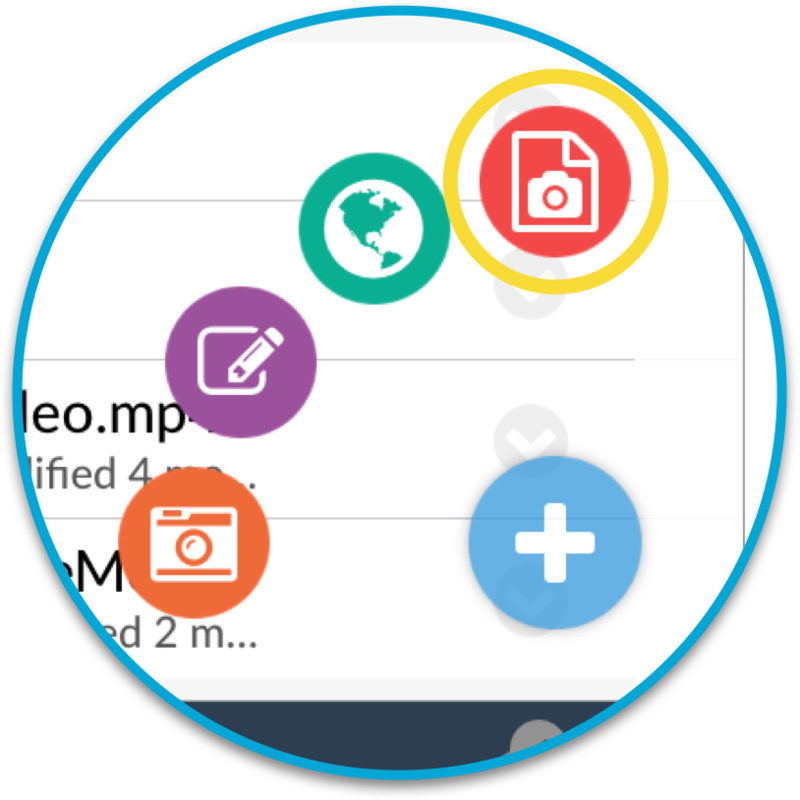 Tap the round capture button to scan the document. Once the document is captured you can edit the image before you save it. You can rotate, crop and alter the image’s contrast. 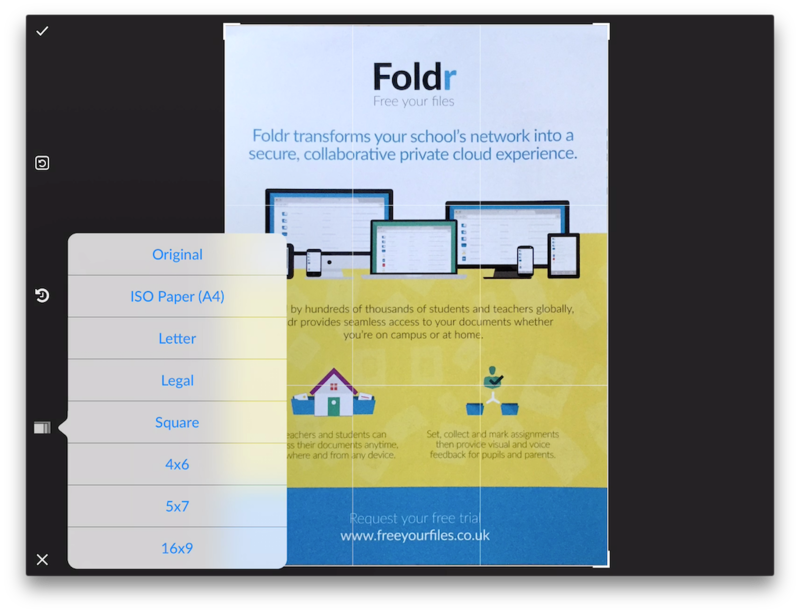 You can also choose the paper size on which to save the image. Once you have finished editing your scanned image tap ‘DONE’. 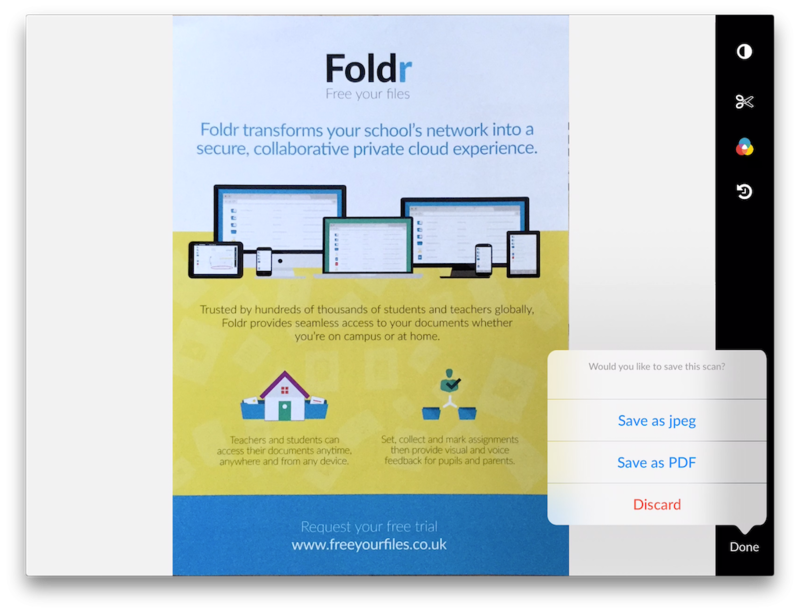 Choose whether to save to a PDF or jpeg file. The scanned image will be saved to the location from which you initiated the scanner.